Accidents happen all the time. But if an accident occurs due to someone else’s carelessness or wrongdoing, then you should reach out to a personal injury attorney right away. A lawyer can walk you through the personal injury claim and settlement process so that you can receive reimbursement for your pain and suffering. You can file a claim against a truck driver for many reasons, including driving aggressively, making wide turns, merging too quickly, carrying an unsafe load and speeding. Our attorneys will help you with your case involving a truck, a tractor trailer or a semitruck accident. Schedule a consultation ASAP with Blue Horizon Law, P.C. 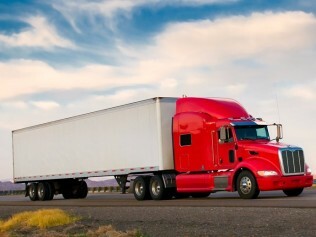 in Denver, CO.
Don’t let an 18-wheeler accident leave you with high medical bills and painful injuries. Find relief from your pain and suffering by filing your personal injury insurance claim today. Call Blue Horizon Law, P.C. to schedule a consultation.